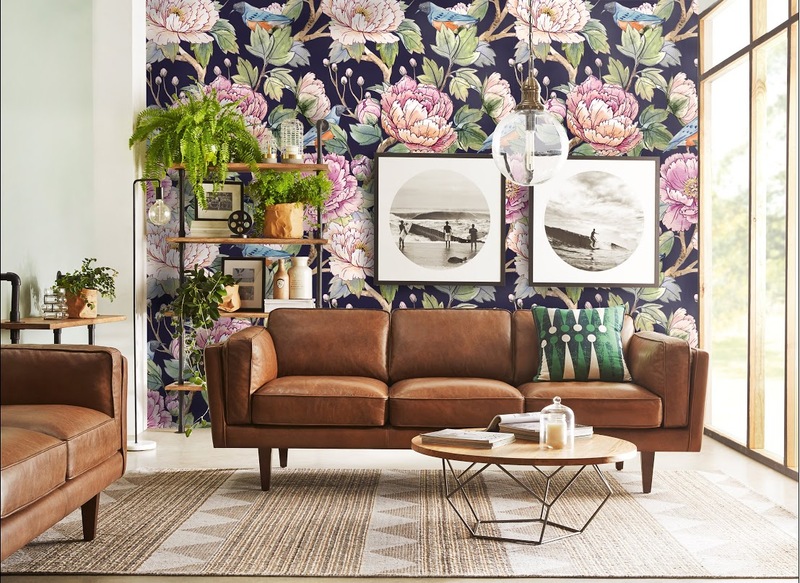 For a couple of years now florals in home décor have taken a dark, romantic twist, showing up in home interiors as deep hues on wallpaper, textiles and tiles. Like most fashions, this isn’t the first time the Floral Noir trend has graced the home; the Victorians loved how dramatic and eye-catching blooms from the midnight garden could be. 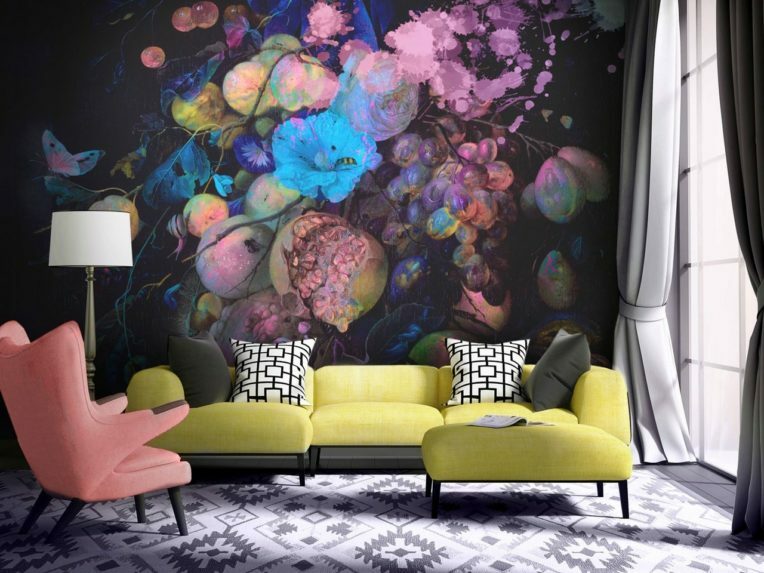 This time around they have undergone a contemporary makeover and are ready to introduce you to the trend with wallpaper, soft furnishings, bedding and rugs. 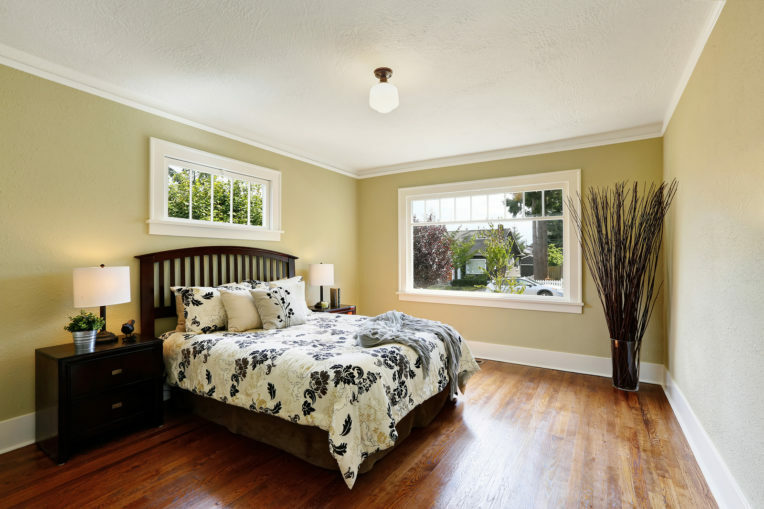 There is such a large array of style and colour combinations in this trend it can be used in almost any area and styled up or down depending on the effect you want. 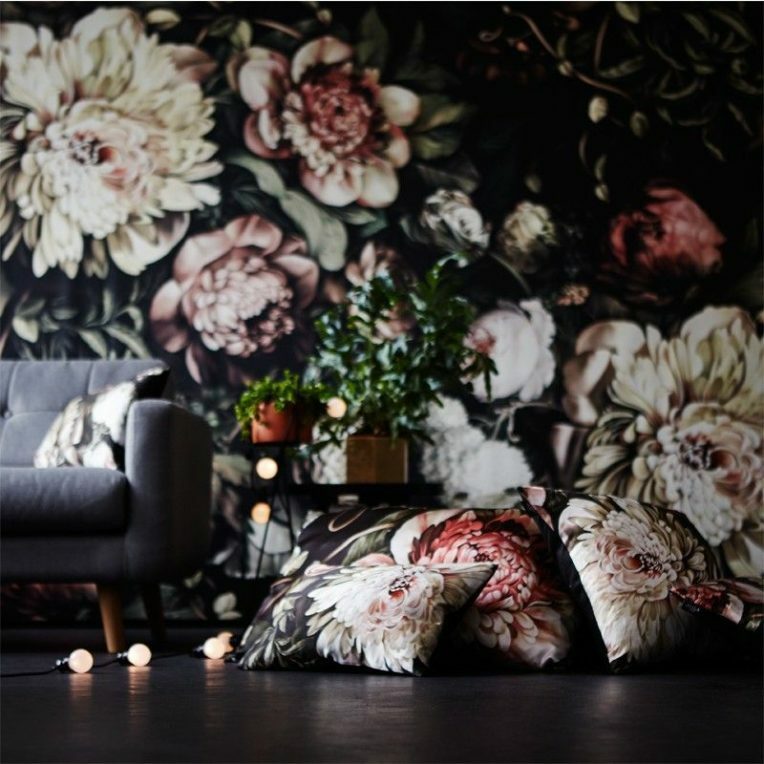 If you are interested in making a long-term commitment to your newfound love of floral noir, look no further than your walls. Creating an atmosphere of contemporary opulence, there is no hiding from the character-filled depth they offer. 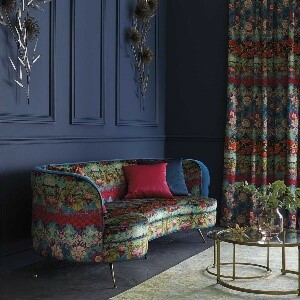 To ensure it doesn’t come off as gloomy choose a design that provides a striking contrast between light and dark, with the black or deep navy softened by flower petals in warm, earthy tones and lifted by jewel-toned pops of colour in the room. 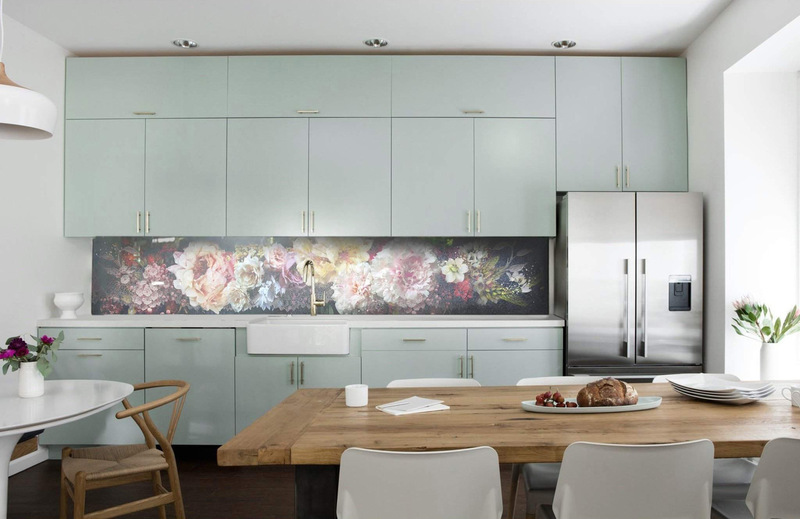 Floral Noir is about high-end ambience, giving a space an infused elegance and drama, so it’s no wonder they are making evocative style statements in the kitchen and bathroom. Lush glass panel splash-backs contrasting with a neutral kitchen makes a striking focal point, while a tiled bathroom feature wall adds extra opulence to a spa-like sanctuary. This is where Floral Noir began – inspired by the Dutch Masters’ still life paintings of bouquets. They loved portraying opposing forces in their art, and the ultimate in contrasts are still present in this trend: feminine and masculine, light and dark, life and death. Choose an original Golden Age print or a new photo or painting reminiscent of the still life paintings of the 1600s. There is a huge variety of textiles you can use to capture the sumptuous nature of Floral Noir without permeance. A velvet patterned sofa, gently falling curtains, an Alexander McQueen rug: these feminine textures go particularly well in industrial environments and when highlighted with accents of gold. If you aren’t ready to embrace the dark side you can easily incorporate elements of this trend. Floral fabrics with rich plum and burgundy tones blend nicely with a light existing palette of whites and soft greys. Cushions can luxe up any colour scheme and a floral noir bedspread will help you dip your toe in the trend before committing to anything more indelible. The secret to not overdoing this romantic trend is to mix classical and modern elements. Industrial chic pairs well with floral noir due to the contrasts between hard and soft, especially if you incorporate contemporary furniture with clean lines to balance the sweetness of the flowers. 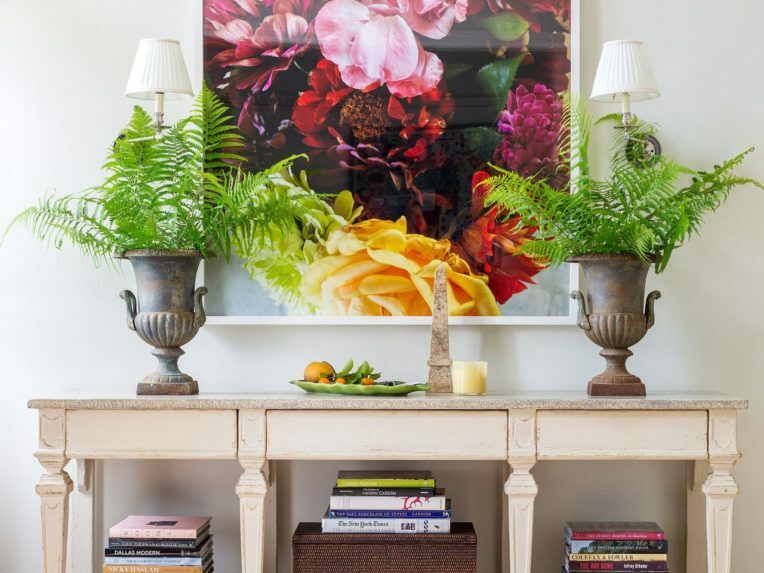 It’s key to ensure all elements in the room are complimentary to the big, blousy blooms, otherwise, you risk going too over the top.